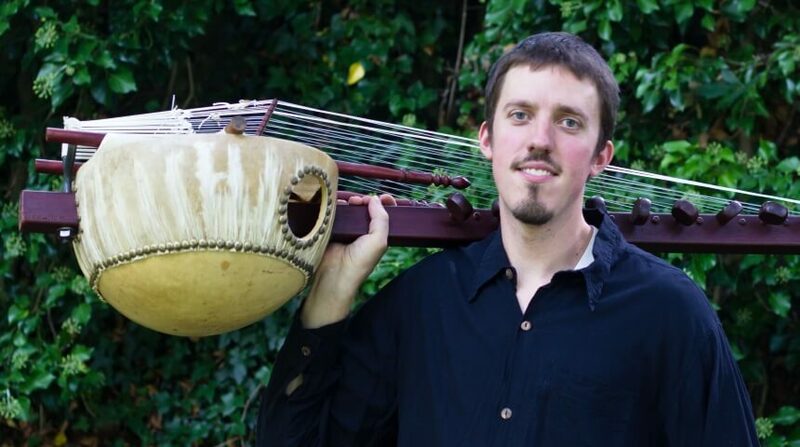 Sean Gaskell will give a family-friendly performance and educational demonstration on the kora, a 21-string harp. Gaskell plays mainly traditional songs composed between 50-800 years ago in addition to some of his own songs. The kora is native to the Mandinka people living in the West African nations of Gambia, Senegal, Mali, Guinea, Guinea Bissau, Burkina Faso, Sierra Leone, Nigeria and Niger. Typically having 21-22 strings, the kora is played by oral historians known as Griots (pronounced GREE-OHS). Gaskell began studying the kora under the instruction of New York based musician Kane Mathis in 2007. More extensively, Gaskell has studied with kora masters Moriba Kuyateh and his father, the late Malamini Jobarteh at their home in Gambia over the course of three extensive visits. Gaskell has been featured at a number of festivals throughout the US, Gambia and Senegal.